Cuban religion is officially atheism, though many have a belief. The Catholic Church never had a tight grip on ordinary citizens due to its ties with Spain in colonial times. 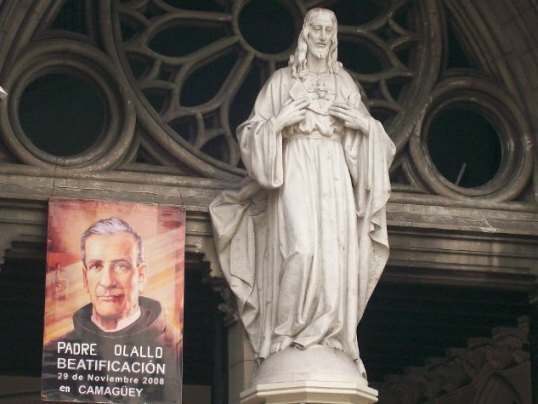 After the Revolution brought down the Batista regime in 1959, eighty percent of Catholic priests and Protestant ministers left Cuba for the United States. Practising Catholics were banned from joining the Communist Party until a reversal of policy in 1990. The visit of Pope John Paul II in 1998 renewed the faith among Cubans. On November 3, 2010, the Roman Catholic Church opened its first new seminary in Cuba in more than half a century. It is estimated there are 300,000 Protestants on the Island. In recent years, Charismatic Christian groups have garnered a popular following. There are 129 “Churches and Places of Worship” in the Havana phone book. There are also Jews and Muslims.